I lv this hymn very much.specially the idea, 'oba hara ma an kavraku wetha yannada samide'.This z a nice combination of both lyrics & the melody. LV U JESUS.Neither let me feel unhappy nor afraid.Make me feel happy in u.
thnk u 4 adding dis song. Though i'm a buddist i like dis song coz this is a nice song written by my friend Rev.Fr. 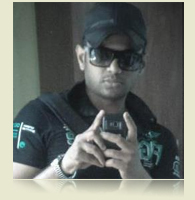 Shamindra jayawardene. And thnks kasun kalhara..i like dis hymn vry muchn...! this is one of my favourite hymns. I like it very much. Cos i can praise god. Frequently i sinm this using both the guitar and organ. I request from kasun kalhara to create many hymns such as this! Bohoma eesthuthee for posting the lyrics and chords of this harima lassanai Singhala Catholic sindhu. As a Catholic, I thank you.